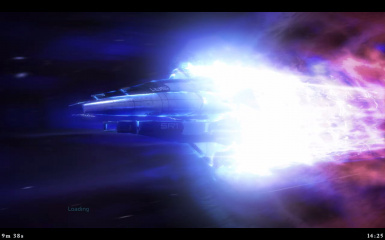 Mass Effect page for the FPS Counter software, adds antialiasing, color correction, SRBAO 2.0 ambient occlusion, sharpen, and realtime audio/video recording, the options can be controlled from inside the game. This game does not have the FPSC Far Depth of Field effect enabled by design, the game already has its own, more complete version, and uses it constantly as a tool to tell and develop the story, adding mine would probably interfere with that, so I disabled it. This software is Ad Supported and it will show ads inside its own configuration menu when it's opened. The mininum system requirement is Windows Vista. Any other software that changes the game's shaders or modifies the game's graphics pipeline will most probably interfere with this mod. An in-game interface where all the options can be controlled in real time. An in-game localized help system (English, Spanish and Russian). It has a local time clock. It has a running time counter. A graph system that will show you how the game is performing and can be overlaid onto the screen. Graph pictures from the graph system can be stored to disk. Includes the option to enable V-Sync even in windowed mode. Adds SMAA antialiasing, with four quality options. Adds Color Correction and tinting, can be modified from the FPSC interface in-game. Adds the Sharpen image filter. 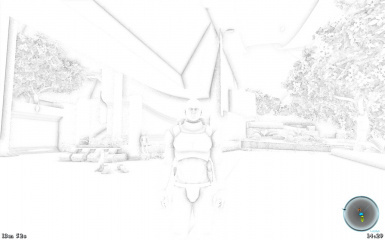 Adds the SRBAO 2.0 ambient occlusion pixel shader designed by myself. Allows to save screenshots in JPEG or BMP format and crop them. Allows realtime video and audio recording. Fixes the black blob glitch on newer AMD cpus. Allows you to change the Large Address Aware flag from the interface and use 4GiB of RAM. You can change the counter's interface language, currently only English, Spanish and Russian. If you are interested, you can check my other mods.